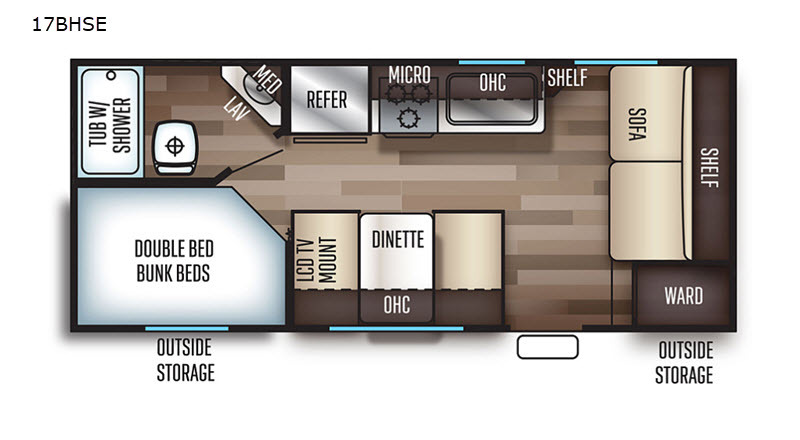 This Cherokee Grey Wolf travel trailer allows your small family to easily camp and enjoy the outdoors. At night the double-size bunks will be a welcome space for up to four tired campers. The booth dinette and the sofa can also be used as sleeping space for added family or friends when needed. You will appreciate the rear corner bath which features a tub/shower, a toilet, a sink, and a medicine cabinet to keep your toiletries organized and handy. 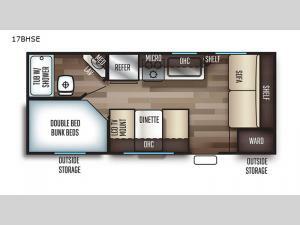 Overhead cabinets throughout provide plenty of storage, plus there are both front and rear outdoor storage compartments!